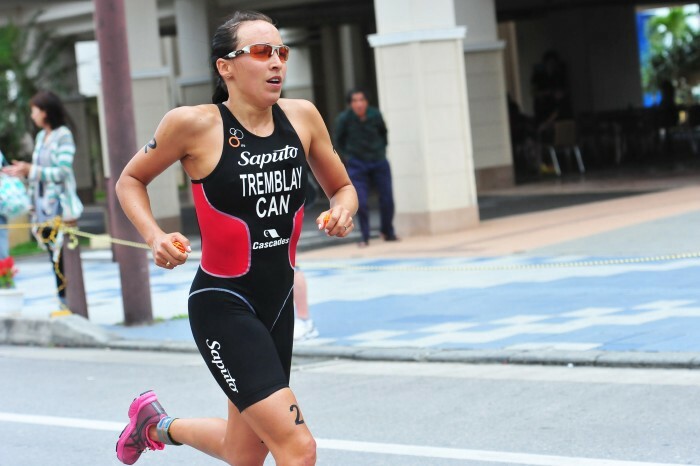 Kathy Tremblay is a double Olympian and Pan Am Triathlon champion. On the eve of Montreal’s Triathlon International, Näak’s ambassador offers her valuable advice on how to perform on competition day. Näak: Kathy, how do you approach a race on a course you don’t know? Kathy: The first thing to do is acquire course recognition. If it is in the city like the Triathlon International in Montreal, it is good to arrive before the competition and to cycle or jog on the course to see it before race day. It is important to recognize places that could be very technical or dangerous in order to plan an attack strategy or an approach strategy for the race. Näak: What do you eat the day before a race? Kathy: I eat what I am used to eating. I never carb-load. I eat gluten-free. I am careful with what I eat. For instance, I'll eat chicken with vegetables, sweet potato, or quinoa. Näak: Why do you prefer to eat gluten-free? Kathy: Simply because wheat is an irritant. Also, because there are so many other beautiful food products to discover like quinoa, rice, potatoes, etc. Generally speaking, I tend to eat food that comes from the Earth and is not processed. This is what I prioritize before a race. Näak: What do you consume in the morning on a race day? Kathy: Before a race I would often eat oatmeal. Sometimes, I would also have a piece of toast with almond butter and honey to ensure that I have a complete meal that is balanced in order to avoid being hungry during the race. Näak: What do you eat during your race? Kathy: One hour before a race, I would eat a snack. For instance, a Näak energy bar. I would take one or two bites to make sure I am not hungry during the race. I would also have two bottles: one filled with antioxidants, and one with greens (vegetables). In addition, I would tape bars onto my bike. The bars I would bring along were bars that I was used to consuming. During a race, you want to avoid trying new food products, and you want to stick to what you know your body can digest. Näak: A tip to safe time in the transition zone? Kathy: Good visualisation of the transition zone. Just like seeing the course before your race, it is important to visualize where you are going. On race day, it is no longer time to think, you need to act. Thinking, and preparing is done beforehand. To be quicker in your transition zone, you need to visualize every portion of it: getting out of the water, running towards your bike, dropping your gear in your box, where the everything is positioned, etc. You need to visualize every step in your head so that when you are getting out of the water everything becomes automatic and you don't have to think about anything. That's why we have training (laugh). A race is the result of nothing more and nothing less than your trainings, your efforts, and your actions. That's why it is important to train properly and to set precise objectives during your trainings! Näak: A tip for mental preparation? Kathy: Go see the course before your race, try it out, feel it. Being present in your sensations. Living in the moment. Näak: Do you have a mantra that you repeat to yourself on race day? Kathy: It's really on the feelings I worked on during my training sessions. For instance, when I was in the water I would always think "Boom, boom, breathe, boom, boom, breathe...". I had a rhythm to attain. When you get hit or your legs get caught in someone during the swimming portion of the race, it can destabilize you rapidly. When it was the case, I would try to return to a feeling I knew and that I practiced during my trainings. During the cycling portion of the race it was something else. During the running portion is was "Head, shoulders, knees, toes, head, shoulders, knees...". In addition, I would always think about my body's position: where I was looking, thinking about lowering my arms, thinking about moving forward, about having quick feet... Then, I would start over. I would always repeat the same thing to myself. I was like a machine. On race day you don't think. It is no longer time to think about trying to do something good. Everything is done during your training period.